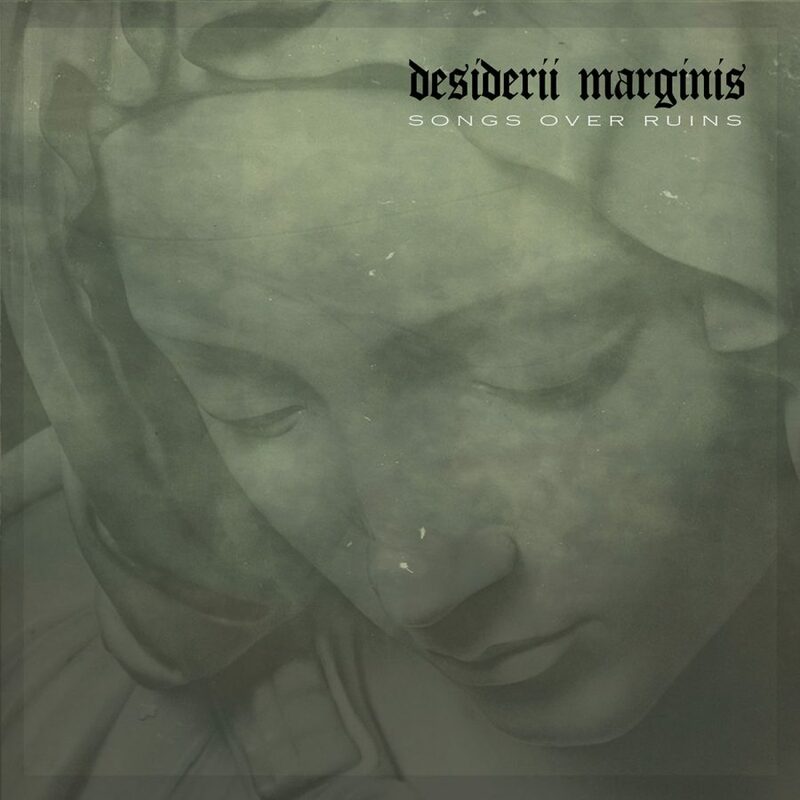 Desiderii Marginis debuted back in 1997 with this monumental release of Songs Over Ruins. Desiderii Marginis took many of the concepts which had been established in the young but prospering industrial ambient genre. Yet, he made them his own, twisted them to his liking, and along the way he paved the foundations of a decades running career in the industrial ambient, later referred to as dark ambient, genre. There is a beauty to this album, a dark and devastating beauty, which can’t be denied. His later career would build upon and often stray from these beginnings, but the fan-base and core mechanics of Songs Over Ruins would become a legacy of Desiderii Marginis ever after. So much has changed in the music world since 1997. Not only the landscape of the sounds themselves, or even the labels that presented the genre, but more than anything, there have been many technical innovations, which make a re-master of old releases so tempting. The demise of Cold Meat Industry was a slow one, and Desiderii Marginis had plenty of time to switch his home-base to Cyclic Law. Cyclic Law is a label that hit the ground running, building a reputation with some of the highest quality dark ambient of the genre, in a relatively quick progression. So after solidifying his position as a fore-front artist on Cyclic Law, it only made sense to look back to the classic which started his career. Cyclic Law offered the structure necessary to facilitate a proper re-master and a release on vinyl for the first time, not to mention a CD release, both of which feature new cover art. For the loyal fans of the industrial ambient genre, fans that have followed this music through its many shifts over the decades, there will be no surprises in Songs Over Ruins, it is a tried and true classic, and album that goes down as one of the stand-out-greats in a genre which is arguably filled with masterpieces. But for the younger fans, this re-release of Songs Over Ruins will be a welcome history lesson, and a glaring example of how amazing this music was, even 20 years ago. Songs Over Ruins will be noticeably different from the Desiderii Marginis that we know in 2017. It stands to reason that over two decades an artist will shift and morph with their personal life changes, as well as the technical progress of the equipment used to create this sort of music. Songs Over Ruins takes on an industrial feel throughout the album, with the sounds of metallic clangs and down-tempo martial drum sequences pervading through almost every track. But listening closely it is obvious that this is Desiderii Marginis. The changes to come over the decades did not necessarily make the artist better or worse, they evolved in a way which kept the artist relevant and firmly positioned as one of the most revered of the genre. There is a melancholia, a despair to this album. The religious under-tones are constant. The listener can close their eyes and melt into the soundscapes, envisioning a world actively collapsing under its own arrogance. We feel the presence of dilapidated churches, mourning choirs. There is a sense of warfare, which is just outside the reach of the congregation. As if they sit in waiting, praying to a god which has lost interest in their blasphemies. Humanity is at the brink of destruction, but this is their story, these are the songs that now reflect their dying breed. When only the strong will survive, the weak and reverent will find themselves utterly devastated, struck from the history books, as raiding bandits find themselves relishing in a world without morals or repercussions. Songs Over Ruins is certainly an album of its time. It has many glaring similarities to raison d’être, a musical force that was carving its way into the collections of black metal and industrial fans, paving the path for generations of the industrial/dark ambient acts to follow. As one who can never get enough of a good thing, I find the beauty of these tracks to be first-class. The darkness of the music applies its umbra to the religious samples. What was once a beautiful church choir now becomes a chorus of the damned and dying, the devastation is bleeding through every note sung, every drumbeat hammered. Tracks like “Solemn Descent” and “Ashes” are brilliant examples of this comparison. Don’t confuse the meaning, Desiderii Marginis is by no means a raison d’être copy-cat. There was a brilliance and an originality to Songs Over Ruins that couldn’t be denied. Cold Meat Industry already had one raison d’être, they didn’t need two. Desiderii Marginis brought a cinematic edge to the sound, taking listeners on a sort of journey through these decaying ruins of western civilization. Tracks like “The Core of Hell II” and “Embossed In Bones” seem to be some of the true precursors to the cinematic dark ambient sound which has really blossomed since the mid 2000s, brought to prominence by artists like Atrium Carceri. While Desiderii Marginis may have moved away from this style himself, it is easy to notice the effect that was left on the genre of dark ambient, a lasting legacy, which proves the reason that Songs Over Ruins can so easily be described as a classic of the genre. In later years, Desiderii Marginis surely evolved, leaving behind much of this style that originally brought him to prominence. Yet, there should never be a sense of regret, no artist should go on for two decades reproducing the same sounds over and over, ad nauseum. But, that also doesn’t mean that these beginnings should be forgotten. In this remastered re-release of Songs Over Ruins the younger generations of dark ambient fans can learn much about the bygone decades of the genre. They can see where so many concepts came to fruition in the first place. As for the older crowd, here’s your chance to have Songs Over Ruins on a fresh pressed disc of vinyl for the first time ever. It’s a chance to have those magnificent sounds polished and renewed, to find their prominent position once again on the top shelf of any discerning dark ambient fan’s collection. Songs Over Ruins is a classic, the beginnings of greatness from a musician who would never disappoint. It is highly recommended to anyone with any love for the genre of industrial/dark ambient.